Getting married is a big deal for many people and so is organizing the event. 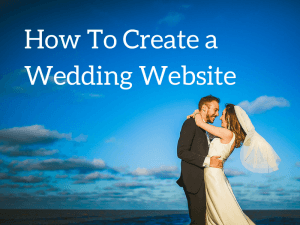 For some, it can be a tedious task, but by learning how to set up a wedding website, the entire process can be more streamlined and manageable. In fact, with a bit of creative thinking, you could even cash in with your experience. Curious to know what this is all about? Let me explain. The general idea of a personal wedding website is to serve as a planning tool for the couples and an information hub for the guests. It doesn’t take a lot of technical skills and if you are comfortable using a computer, you will most likely enjoy the experience of creating one too. Organize a wedding registry by linking to the retail stores that provide such services. Create an RSVP page to keep track of the guest’s attendance. Send up-to-date direction of the event venue. Showcase photos and videos that are taken from pre to post wedding. Integrate a virtual guestbook while saving time and money. Cool uh? The best part is, most of these features are available right out of the box, making it much more easier to get the website up and running. Here are a few companies that provide this service. The Pros – As you can see, most of them are free to use and that basically means free web hosting. The template designs are usually gorgeous looking on both desktop and mobile viewing. You may also get unlimited gallery storage and have the website password protected for privacy purposes. The Cons – However, the free features would mean that the site is hosted with a subdomain which can be quite lengthy for guests to remember like janeandjohndoe.ourwedding.com. Other than keeping (digital) memories, the website actually serves very little purpose after the event is over. 2.5 million people get married in the US each year. More women (and men) research online for inspiring ideas and use apps to plan for their weddings, especially Millennials. Major bridal magazines have gone online to serve their readers with up-to-date content. That means, content play an important role here for customers to find vendors online. If you have your own products or services, then creating a local business website is a must. If you are someone who is interested in all things wedding, you can become an affiliate and promote other companies through a wedding blog. Blogging is a great way to share ideas on a variety of subjects and for your effort, companies are willing to pay a small commission for every customer referrals. Running a full time business through this income model is not impossible if you do it for the long term. The whole idea is to monetize from what people are interested in knowing AND purchasing online so it’s important to analyze the market demands, and then match them with products/services that consumers will like. To get started, you’ll need a domain name that best reflects your niche. I prefer to use one that ends with a .com because it is easier to remember and fairly affordable to renew on an annual basis. The next step is to connect it to a publishing platform and my top pick would always be self-hosted WordPress because their features are more flexible and diverse. 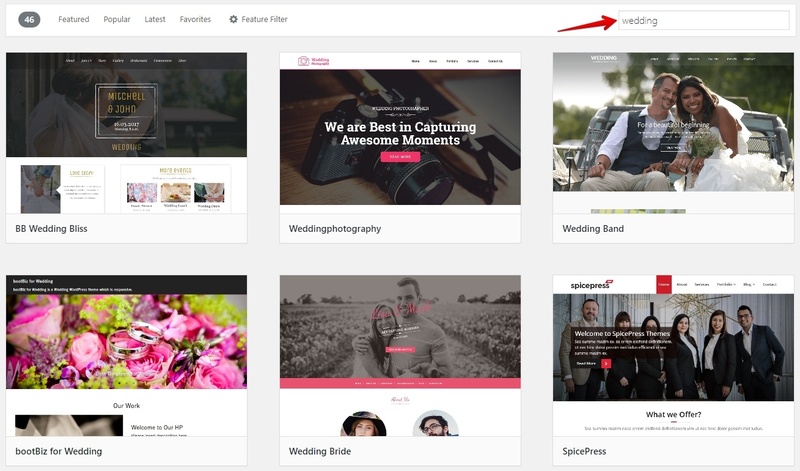 Just like personal websites, there are many free themes that can be used for a wedding blog. Premium wedding themes usually cost about $50 – $100 and it is something that you can switch to when your blog becomes more developed. The important thing to do first is to install an SEO plugin so that the search engines can recognize what your site is all about. Once that’s all set, we can now look for topics to write about and different affiliate programs to join. When people go online to search for something, they would use specific terms and from a marketing perspective, these are keywords that businesses can leverage from to drive customers to their sites. With the help of Google, I hunt down a few keywords just to show the kind of opportunities that are available to you as an affiliate. The good news is, wedding dresses can now be purchased online and while some might be hesitant, the trend is certainly picking up. So if you think you have a fair bit of knowledge in this department, do consider joining the following affiliate programs. BHLDN – 3% in sales commission within 14 days cookie. Has a good network earnings of ⅘ on the Commission Junction network. The Dessy Group – 15% commission within 365 days cookie. Currently the top 500 merchants on the ShareASale affiliate network. Coco Melody – 10% commission within 90 days cookie. Sign up via ShareASale. Kiyonna Clothing – 8% per sale within 60 days cookie. Via ShareASale. Dorris Wedding – 10%-12% per sale within 90 days cookie. Eric Dress – 10% per sale within 60 days cookie. Azazie – Earn 10% per sale within 90 days cookie. Kennedy Blue – Earn 5% per sale within 90 days cookie. 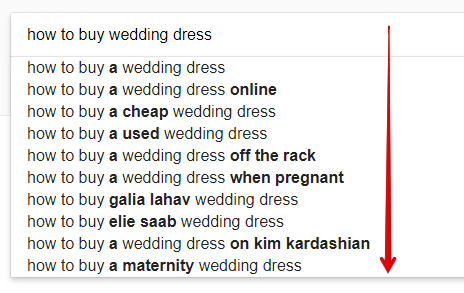 With that said, a wedding would never be complete without decorations and gifts so these are also the things that people often browse online. Here are some keywords that are already trending. So, if you like crafts and designs, these companies may be interesting to work with. My Wedding Favors – 12% in commission within 90 days cookie. Shutterfly affiliate program – 25-10% per sale. Sign up via Pepper Jam network. Wedding Star – 20% in commission within 60 days cookie. Direct sign up through merchant site. Evermine – 15% per sale within 60 days cookie. Currently the top 200 merchant on ShareASale. For Your Party – 10% in commission within 90 days cookie. One of the top 500 merchant on ShareASale. Beau Coup – 10% per sale within 90 days cookie. Robes By Silk And More – 10% in commission within 30 days cookie. Paper lantern store – 7.5% per sale within 30 days cookie. Fiftyflowers – 10% in commission within 90 days cookie. Amazon Associate Program – Earn between 1%-10% within 24 hour cookie window. On the other spectrum, there’s an increasing demand for wedding services such as reception venue and honeymoon packages. Take a look at what I found from Google. This type of service review is interesting to write about, especially if you are a wedding professional, because the experience is something that most people can relate to. Plus, they usually sell at a higher price range and this could also mean bigger commission sharing for you. 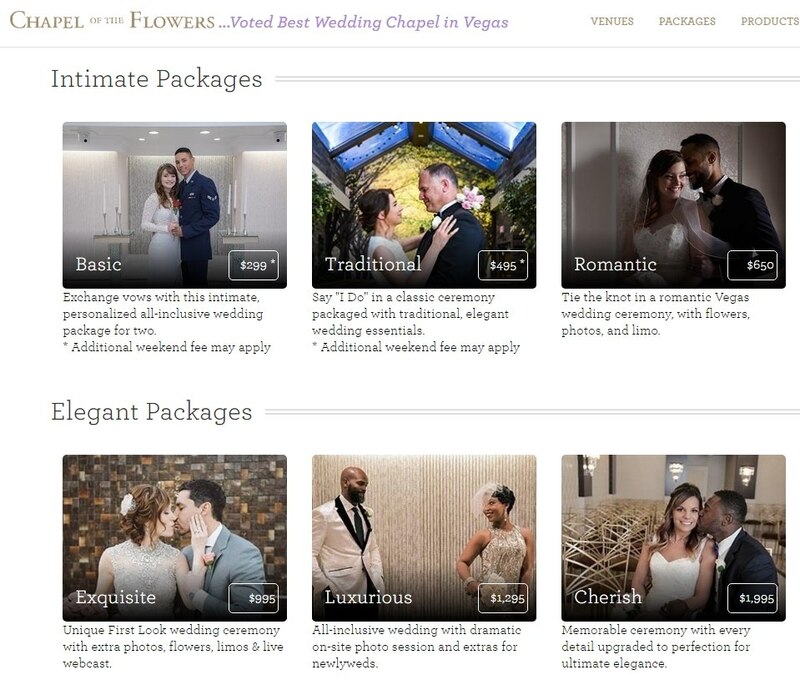 Little Chapel – 15-25% per referral and up to 12% for other wedding add-ons. Honeymoon wishes – 20% per referral. Direct sign up through the merchant site. What’s Your Wedding Website Idea? Now that you know the differences, it’s time to take a pick. Do you want a personal wedding site or an income generating blog? If you plan to go for the first, then choose a free website builder from the list above. If this article has somewhat ignite the entrepreneur in you, then I highly recommend that you check out my online training platform to learn more about making money from a wedding blog. I hope you’ve found this piece of information helpful and inspiring. Let me know your thoughts and questions in the comment section below. It would be great to get some discussion going. This a wonderful idea for a special event like a wedding. Starting your own wedding website is great way to keep all your wedding guests updated on your wedding plans. Once you have done all the hard work of arranging your own wedding, you now know what it takes to plan a good wedding and can help other people plan their special day with products and services that you’ve personally used. I think it’s a brilliant niche idea and a fun one too! Wedding is a massive industry. 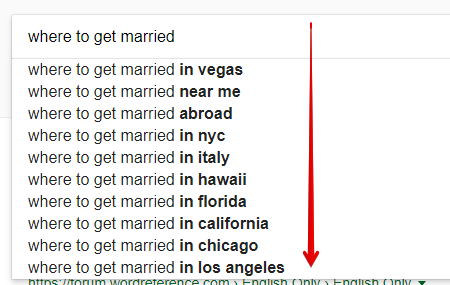 I’m originally from India and they start planning for wedding from the day you are born. Wedding niche offers amazing online business opportunities. This could be a very profitable business if you’re into it. For many, this is a once in a lifetime event so perfection to customer service and attention to detail is a must. Thanks for the great niche idea. Although I was researching for free wedding templates, such as The Knot, you have made some great points here. After all, we put so much time, thought and planning into creating the wedding that we have always dreamed of. It’s a shame for the website and our efforts to slide into oblivion once the wedding has come and gone. It would be great if I could use a wedding site to help other brides plan their perfect weddings, talking about different destination and honeymoon packages. Even better, if I was able to make a little bit of money at the same time, that could be used to purchase and furnish our dream home. Thanks for sharing a bunch of ways that we could monetize from a wedding blog – one that I should have thought about earlier. So my daughter is planning a wedding, and I was searching around and found this article. 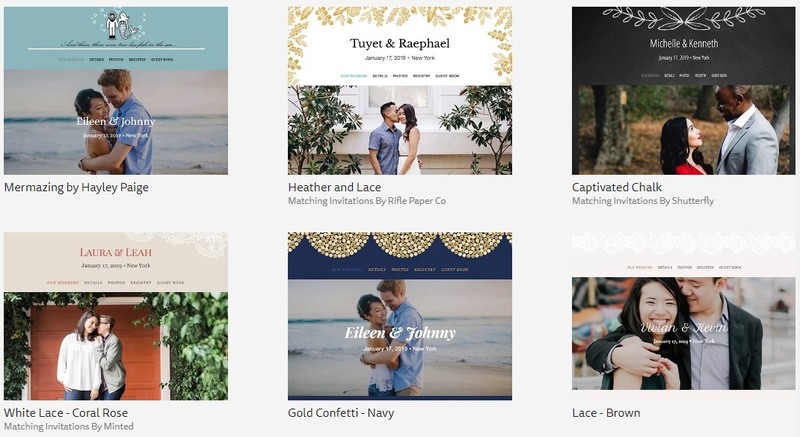 I never even thought of setting up a website for the wedding planning, but wow, what a cool idea! Not only does this make it super easy for her to keep track of everything, but it will provide memories to last AND some extra cash along the way. Absolutely ingenious! Yeah, a lot of bride-to-be use this opportunity to start a new blog about their new chapter in life. It may be about wedding information at first, but can certainly expand into a mommy, baby or parenting blog as the family grows. Those are other online ideas to think about. This article was just the confirmation that I needed. Wish I thought of this before my own wedding just last year! Would have made my life so much easier at the time. I will, however, now look into starting a wedding site with all the inclusive packages that offer services for couples. It would certainly help more people plan an enjoyable wedding. Thank you so much for the information. 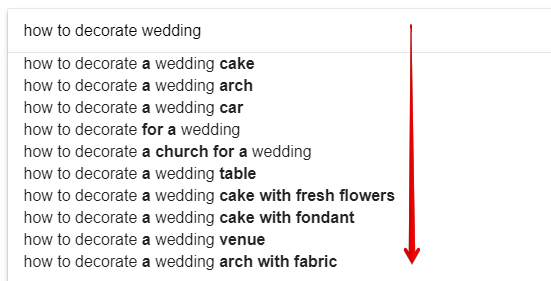 I have thought about many niches before, but am quite curious about the wedding niche. People who are getting married want this to be the best experience of their lives and I think women are generally more interested. It’s also a good idea to combine a blog and a website into one that can be monetized. There are many platforms that allow this, but premium hosting has to be taken into consideration as free ones will definitely slow down the browsing experience. When I changed from a free theme to a paid one, my website’s speed skyrocketed so if you really want to run a business, good quality hosting is the way to go. Thanks for this all-encompassing post. I learned a lot from it. 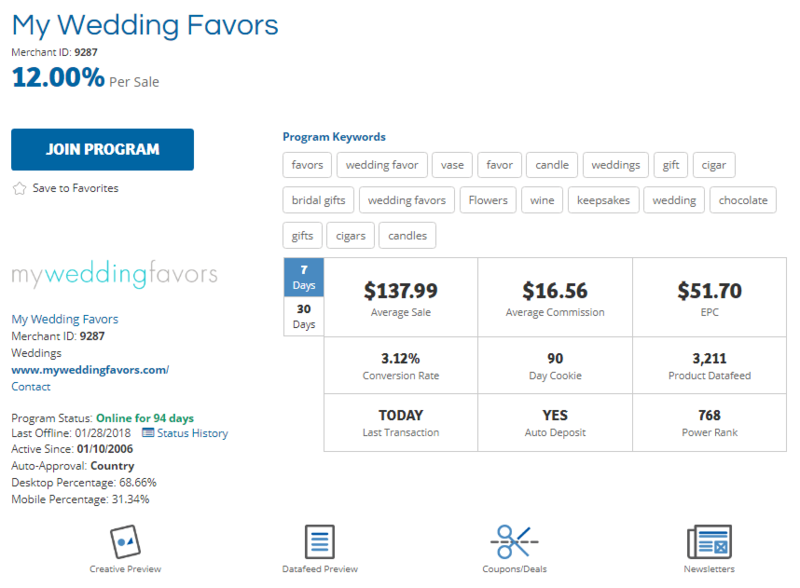 I hadn’t realized that there were so many affiliate programs in the wedding niche, and some of them look very profitable. Do you think other “ceremony” sites could also be interesting? I’m thinking about events such as bar and bat Mitzvahs, sweet-16 parties, first communions, etc. A properly set-up blog with useful content such as what you talk about could be a real winner. Absolutely Norman. Each and everyone of those can be a niche on its own. The first step is to find the right keywords and then consistently build engaging content around them to make the site rank.